PACE CHEMICALS Ltd. is a full service company specializing in Canadian Food Inspection Agency (CFIA) approved cleaners and sanitizers for the Horticulture, Agriculture, Livestock, and Turf Grass industries. 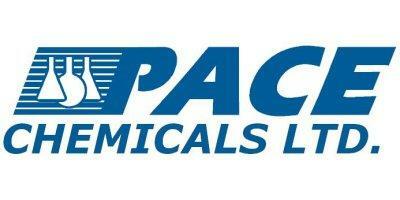 PACE also provides a complete line of cleaning & treatment products for industrial cleaning including a water treatment division specializing in products for the maintenance and treatment of steam boiler systems, closed-loop systems, and cooling tower systems. PACE Chemicals Ltd. is BC’s largest manufacturer of water treatment products for boilers, chilled water systems, and cooling towers. Since 1983, PACE has been a business partner of most of BC’s largest institutions. We were honored in 2010 to service the majority of Vancouver’s Olympic venues with our experienced sales team. PACE belongs to the Association of Water Technologies (AWT), which is a trade group of over 500 member companies. Through this association, we maintain training and certification, which enable us to bring our customers the latest advancements in chemistry, equipment and regulations. PACE additionally provides a complete line of industrial cleaning and disinfecting products, all approved by the CFIA (Canadian Food Inspection Agency) or PRMA (Pest Management Regulatory Agency), for food plant use. The PACE ACBD System® (Always Clean Before Disinfecting) was developed to help companies conform to HAACP (Hazard Analysis and Critical Control Points) and Food Safety programs in bakeries, greenhouses, fisheries and many other demanding applications. We believe that if we always strive to satisfy our customers’ needs and provide timely service, we will keep their business. For this reason, many of our customers have stayed with us for 15 years. Call us today for answers to how PACE Chemicals can help lower your company’s maintenance costs and energy consumption while improving the operation of your cooling and heating systems.